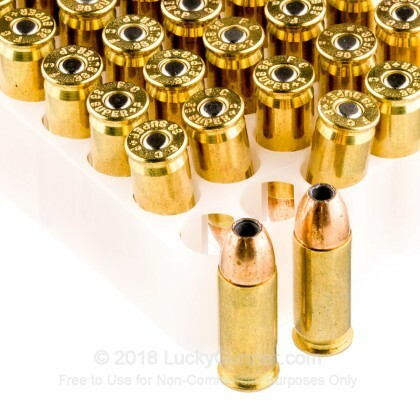 Not every .38 Super round fired from your custom race gun has to cost over a dollar or take quality time away from your family or Netflix habit while hand-loading. 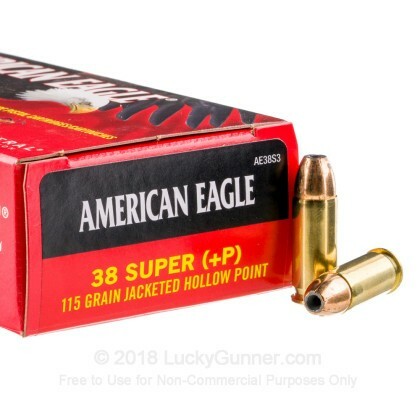 This ammo from Federal's American Eagle line is intended to be inexpensive to buy, reliable in function, and ballistically relatable to more expensive options. Each cartridge is constructed using a reloadable brass casing which hosts a non-corrosive Boxer primer as well as a +P powder charge. The +P pressure combined with a lightweight, 115-grain jacketed hollow point (JHP) projectile results in a high-velocity bullet that will make Minor power factor for all divisions of USPSA and IPSC alongside SSP and ESP in IDPA. Competitors like JHP bullets for match-use because the hollow cavity pushes more surface area to the rear than that of an FMJ bullet in the same weight-class; this translates to a greater surface area to catch rifling, stabilize the bullet, and produce tighter accuracy overall. In addition, Federal surrounds this particular JHP's mouth with skiving which helps produce wide expansion on impact. 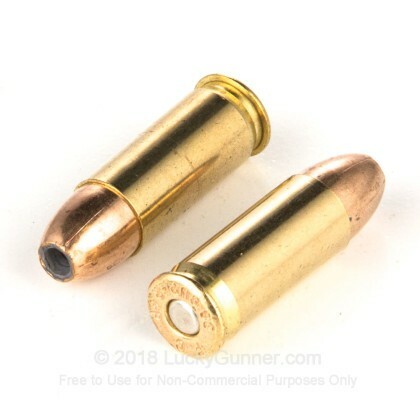 As a result, when you load up your game gun with this ammo, it can pull double duty as a carry piece or home-defense tool. Federal is powerhouse manufacturer in the United States with a history dating back to 1922. They have a great reputation for quality and innovation that supports hunters, police officers, and recreational shooters without fail. 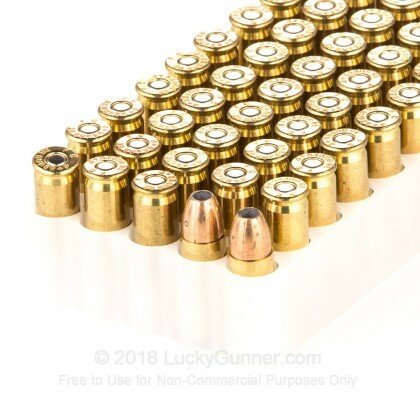 We don't have any reviews yet for this particular .38 Super ammo from Federal. 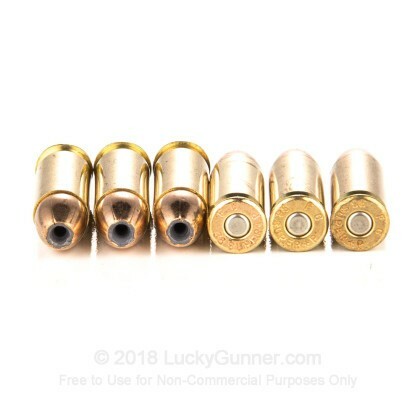 If you'd like to be the first to review this particular .38 Super ammo from Federal, fill out the form below.